I apologize to everyone who is tired of seeing project schedules, but I have to do them regularly to keep my head completely wrapped around this giant project! For those interested, below is the schedule of known remaining work, broken apart by anticipated “Alpha” releases. Not included are sound effects and music, both of which should not affect the overall schedule since they involve bringing on new people to the project. 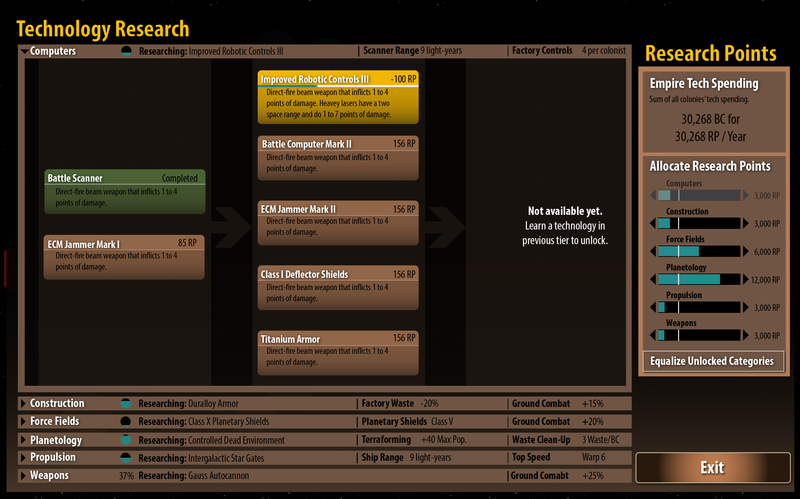 This schedule starts with Alpha 3 and the work immediately following for Alpha 4. I hope the format is understandable. This Alpha is available for download! At this point, 8 of 10 races are in the game! At this point, tactical ship combat is in the game! At this point, 9 of 10 races are done and all diplomatic options are in the game! At this point, the user interface revamp is completed and random events are in the game! At this point, the game is functionally complete! At this point, the initial release is complete and free to everyone! Those interested in a classic game experience (like me) will be able to order boxed sets of the game, made in limited quantities. It will include the same game as the free version, but with cool accessories like a player’s manual, tech tree poster, autographed artwork, and other goodies to be determined. 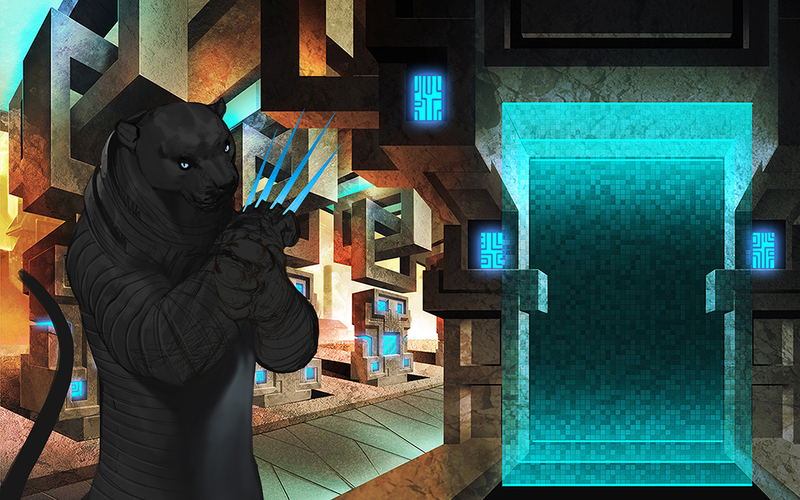 Here’s a very early draft of the Mrrshan Council image. Subject to change! Here’s a closer-to-finished version of the Mrrshan Spy. All that’s left is to add the animations. The Mrrshan are moving along quickly now! There’s still a lot of artwork remaining but the hope is still to have it and the rest of the next Alpha ready sometime in July. 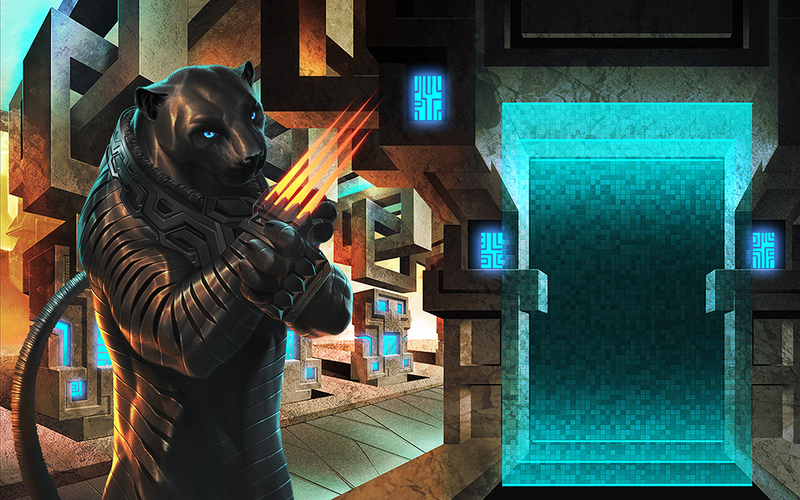 The update from Alpha 3 to Alpha 4 will primarily include the Mrrshan and updates to the Setup, Tech & Map UIs. A few other enhancements will be added, such as a Ship Combat UI much closer visually to what will be used when player-controlled tactical combat is added in the following Alpha 5. After a bit of work with the graphic designer, here is the revamped version of the technology UI. The biggest improvement is creating a visual representation of each of the six tech ladders in the game. All of the data on this screen is test data… not real-game data. Hope it’s good, I haven’t had time to watch it!